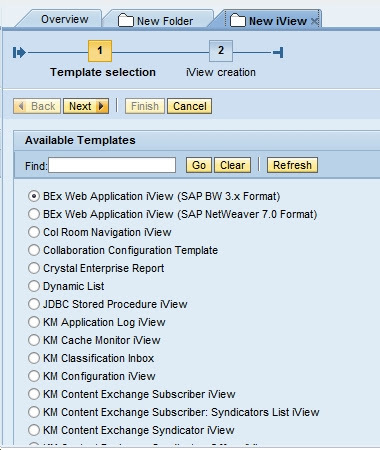 This post discusses about, How to create a URL IView in SAP EP Portal. 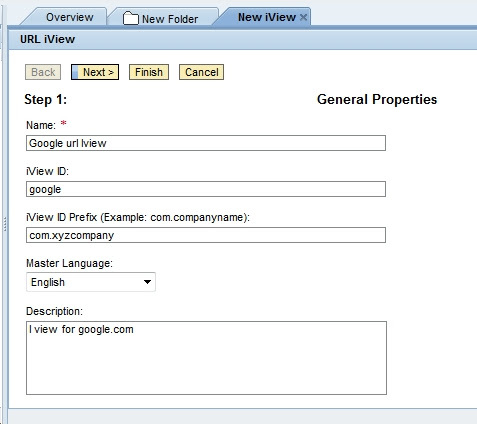 We create URL iview when we want to integrate a web-based application in to portal. 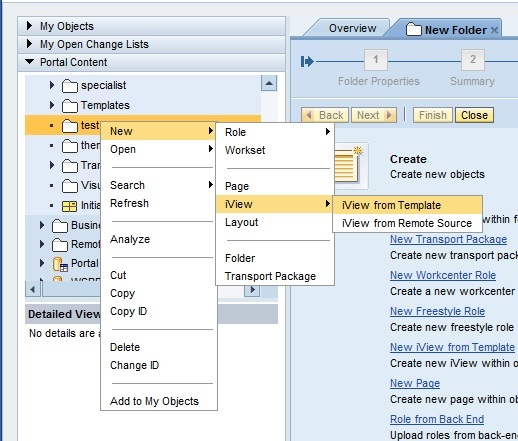 Right click on the folder created and select New > IView > IView from template. 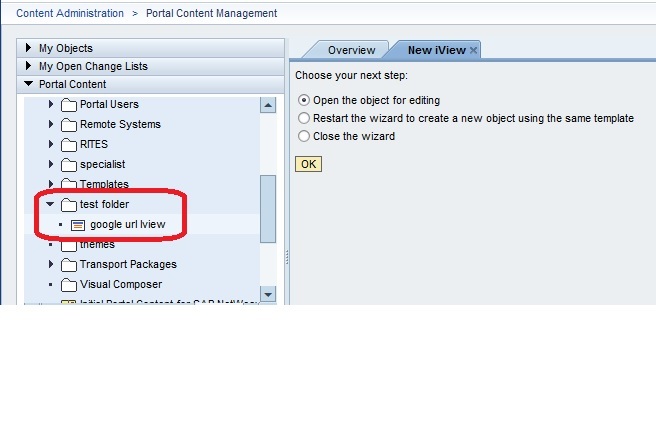 Iview creation wizard will be open as shown follow. 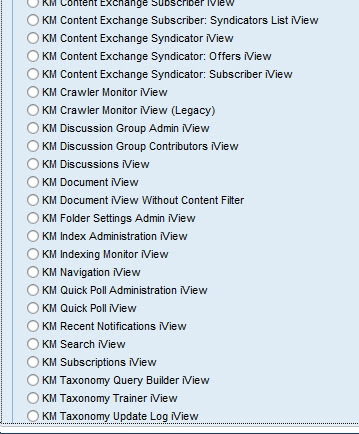 Select the URL IView and click on Next. ID: ID of the IVIEW, ID will be unique. ( Spaces or not accepted here, Mostly '_' (Underscore) is used to differentiate two words ). Enetr the URL of the web application in our case it is www.google.com. 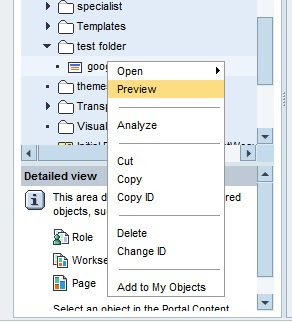 Now you can view the IView created in the Folder. Now to test the IView, Right click on the IView and Preview. If you are getting any error after completing these step. the the reason clould be the following. Most companies set up a proxy server in order to allow/control/restrict connections from the portal server to the outside world. 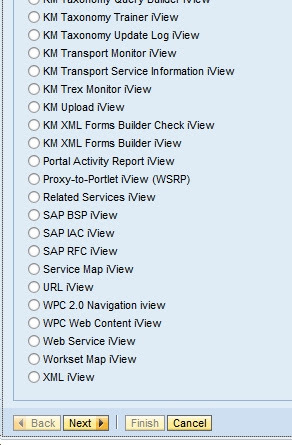 In order to find out how to configure the portal server to use a proxy server have a look into the SAP Library. There you will find detailed instructions how to set things up. 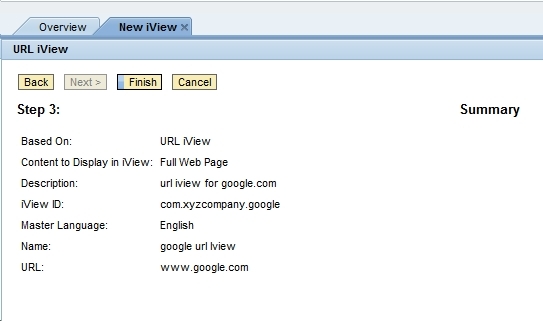 That its it, Now you came to know how to create a URL IView.